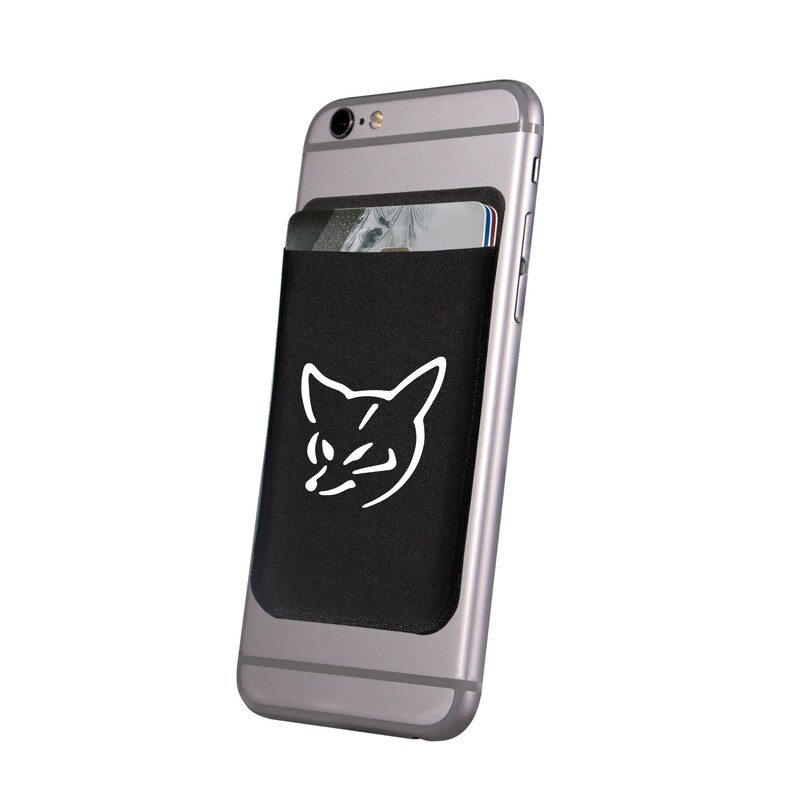 Our black stretch fabric phone wallets make the perfect stocking stuffer! Each simple adhesive backed 2 1/4" x 3 3/4" phone wallet holds money and cards easily and safely. 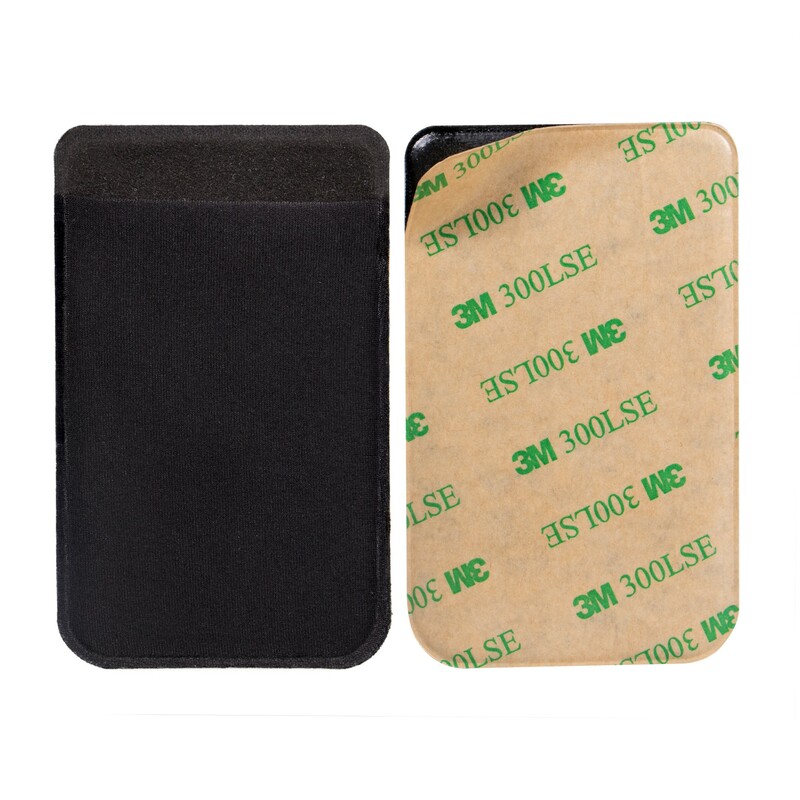 One time use adhesive works to attach to the non porous surfaces of most phones.